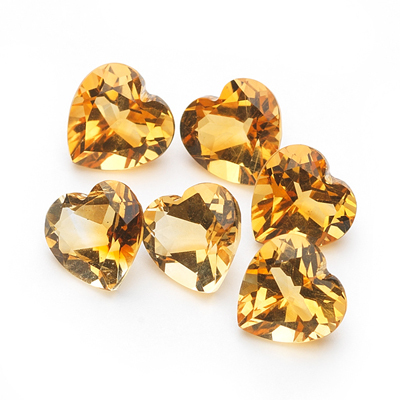 4.30 Cts of 6 mm AA Heart Citrine ( 6 pcs ) Loose Gemstones . This is a lot of six AA quality Heart Loose Citrines measuring 6 mm each. Total Gemstone Weight: 4.30 Carats.